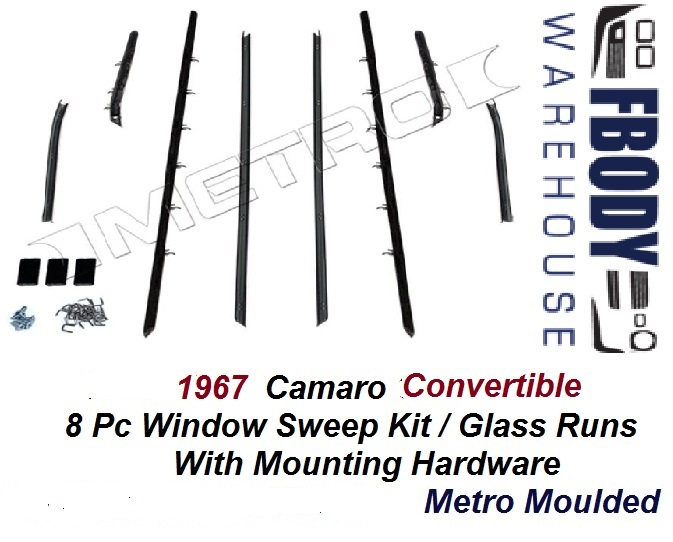 This is a new replacement door top and rear quarter window mounted window sweep glass run kit for your 1967 Camaro. 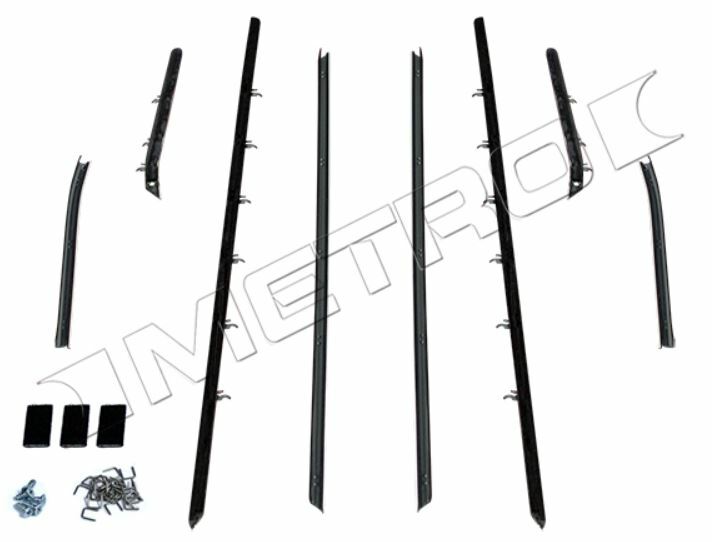 Replacing your window sweeps is a must when reducing wind noise and water from damaging your door bottoms and inteiror door panels. 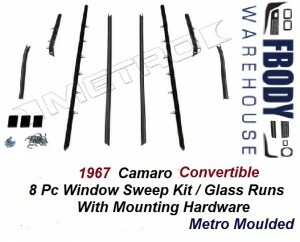 Also prevents water from rusting the doors and the rear quarter window areas. Units install quickly and will last for years to come with the best fit possible! Includes mounting hardware for an easy installation. NOTE: there are 2 styles to chooe from so please use the drop down menu to select proper ones for your specific car! Use the drop down menu to select proper style for your car.